Amanda Wright of Sweet and Simple Co.
Sweet & Simple Co. was founded in 2014 as a way to fill a void in the Hamilton food scene, by offering timeless handmade confections. Sweet & Simple Co. strives to provide treats that lack the preservatives found in larger brands. Using as many locally sourced and natural ingredients as possible, Sweet & Simple Co. makes it easy to enjoy your favorite treats, knowing exactly what you’re getting. How did you get into your art/craft? 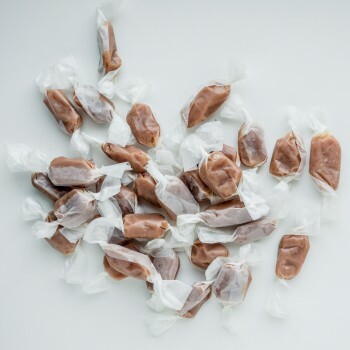 I started making sweets about four years ago, sort of as a fluke, I decided to try making Salt Water Taffy on a whim. Since then, I've been addicted to making sweets, and experimenting with different flavours. I turned it into a business about two & a half years ago, and have never looked back! What do you love most about your process? I have loved chemistry and science for as long as I can remember, and it's probably my favorite thing about making sweets! There are so many different factors to take into consideration, and sugar is such a fun medium to play with! My favourite part of the process is just constant experimenting, be it new flavours or a different technique, there's never a dull moment. Besides, who doesn't love candy? I am extremely more efficient than I once was! I often look back on the way I used to do things and chuckle about how little I knew when I started my business. As time goes on I get more familiar with the way different factors will alter the process, and more comfortable taking risks. What inspired you to become a craftsperson/artist? See above! I have always loved working with my hands, and turning raw materials into something tangible. It's not always an easy line of work, but it's so rewarding to be able to create for a living. If you could be any character from any novel, who would you be? Why? My favourite memories from childhood usually revolve around making things. Both of my Grandmothers were very creative, one with baking & one with crafting. Spending time with them making things will always be such a treasure to me, and I think really fostered my creative drive. What do you like to listen to when you work? Much to the dismay of the people I share a work space with... I love listening to Pop Music while I work. It makes the time pass quickly and puts me in a good mood for a long day in the kitchen. Where do you turn for inspiration? All over. Instagram is huge for me, as it allows me to connect with so many other similar makers, literally all over the world. I also love to travel, and try different confections and food from everywhere I go. It's allowed me to discover some really great and unique flavour combinations. Tell us about your workspace/studio. 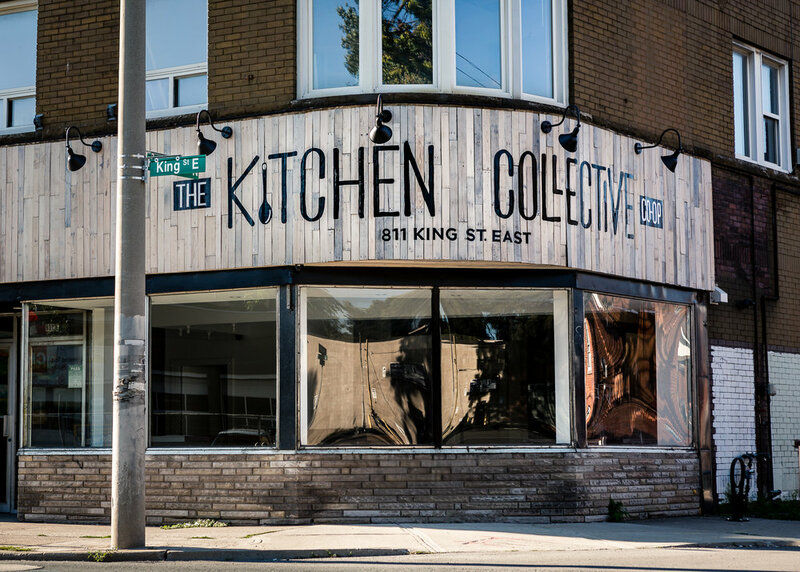 I work out of The Kitchen Collective, in downtown Hamilton. It's a shared commercial kitchen space for food businesses to make their product. Right now we have about 23 businesses sharing the space. It's a bit chaotic at times, but also such a fun space to share! We all learn so much from each other since we make different products, and allows for collaboration between businesses. Where can you be found when you're not in your studio? I'm a medical secretary part-time, so am also working in the office a couple days a week. It was my full time job before I started my business, and I enjoy it so much, so I'm thankful I get to do both! Otherwise, you can find me at home, snuggled up watching gilmore girls, probably crafting something, and spending time outside. What's your favourite holiday tradition? My favourite thing about the holidays is just spending time with family! As a maker, this season tends to be a crazy one, and when we finally get to the holidays, it's so nice to just rest & enjoy the season.